Box and Papers Original Dior Box and Papers! Categories: Ladies, Other Watch Brands, Stainless Steel, Watch Brands, Watch Styles. 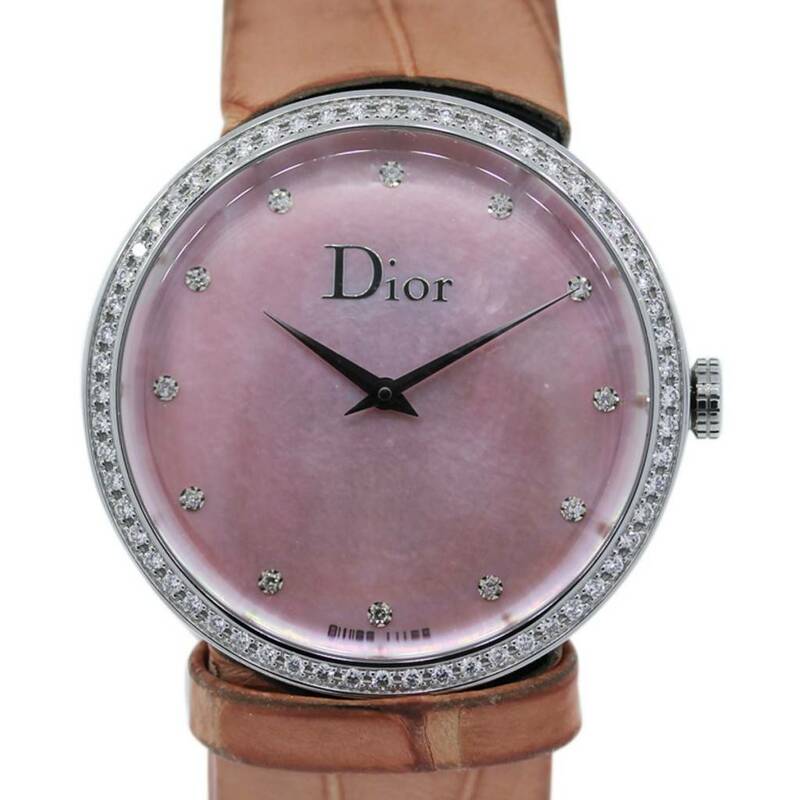 Tags: Christian Dior Watch, Designer Brands, Dior, Dior Watch, Leather Deployment Strap, Pink Mother of Pearl Dior, Pink watch, Watch Brands.